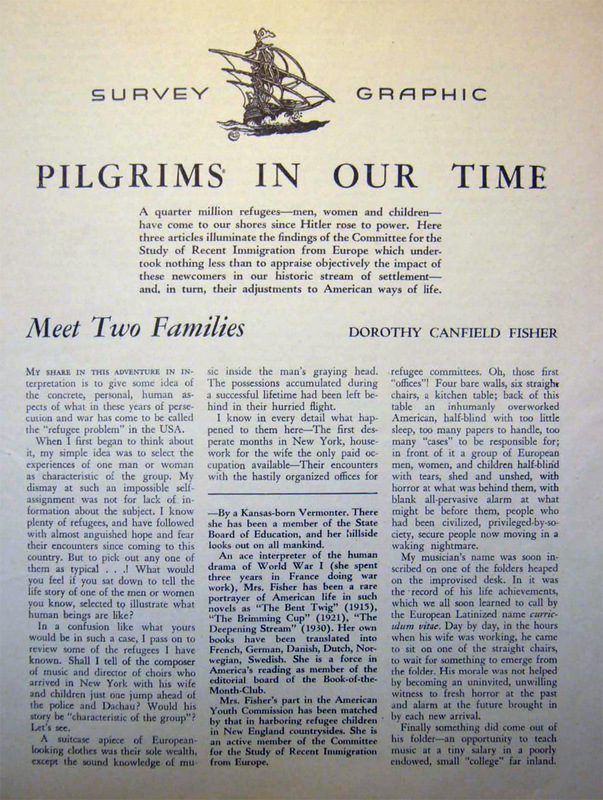 Many postwar materials aligned the immigration of Jewish survivors with the arrival of the pilgrims, who also sought freedom from religious persecution. At the time, it was common to refer to the DPs as Delayed Pilgrims, evoking the American founding myth to explicitly connect America’s past as a haven of the oppressed to the ongoing DP crisis. Find and listen to more radio programs sponsored by the Citizen's Committee on Displaced Persons at WNYC.org. Version 17 id 27917 of this page, updated 21 October 2014 by Rachel Deblinger. Created by Rachel Deblinger.